Any news with respect to Cryptocurrency adoption is welcome news and especially during this time period of market turmoil that has seen Bitcoin (BTC) drop to the lower levels of $7,000. The King of Crypto is currently trading at $7,228 at the moment of writing this. Ethereum (ETH) is now trading at $533 with Ripple (XRP) dropping to levels below 60 cents and trading at $0.574. These top three coins are beloved to many and they are also being accepted as a form of payment for the purchase of a 27 acre piece of land in California. Through Propy Inc., a real estate firm dedicated to solving the problems of purchasing property across borders, the property valued at $16,000,000, can now be purchased using BTC, ETH or XRP. BITCOIN & ETHER and XRP ACCEPTED! Welcome to Los Gatos! Located on Shannon Road, this rare 27-acres land sitting near the top of Los Gatos is now for sale. The site offers a spectacular panoramic view of Los Gatos Hills and beyond. This off-market site offers a buyer the opportunity to build up to 10 luxurious homes overlooking some of the most pristine lands in Northern California. 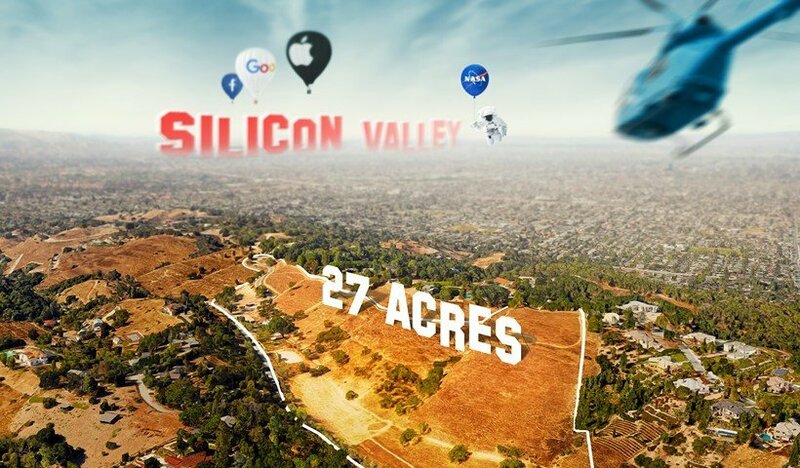 The listing goes on to mention that the property is close to the headquarters of Netflix and a drive way from San Jose and San Francisco. This property is the first to be listed with XRP as a payment option. The firm is sure to list more homes in a similar manner.